A while back, I posted about the OD&D game engine. I think that post was helpful to me at the time for understanding how OD&D the game worked at a mechanical level. As I have been reading and enjoying Ryuutama recently, a similar exercise may be informative. This exercise may also provide a good intro to Ryuutama for players familiar with traditional D&D. There are several broad, generally applicable rules systems: travelers, incentives, journeys, setting, combat, and the ryuujin. I will only focus on the first four of those systems here because they seem most integral to the core engine. These are the rules for player characters, which Ryuutama calls travelers. Travelers have three major mechanical underpinnings: classes, type, and ability scores. Class in Ryuutama is more like background in many other games, and provides a set bundle of skills. Example classes are merchant, hunter, and farmer. Travelers get one class at first level and another at fifth level (max level is 10). Type, however, is more like what class means for other games, and can be one of attack, technical, or magic, which map, respectively, to the traditional classes of fighter, thief, and magic-user. There are four ability scores: strength, dexterity, intelligence, and spirit. Ability scores are measured in dice, with d6 seeming to be about average, d8 being one step higher, and so forth. Travelers also have three state variables: hit points, mental points, and condition (a value that fluctuates daily and is sort of like mood). The major resolution system is the check, which involves rolling two ability dice (sometimes both are the same ability), adding the results, and comparing the sum to a target number (like a difficulty class in D&D terms). For example, accuracy with a blade (basically, rolling to hit, which is based on weapon type) is DEX + STR. Trapping, a hunter skill, uses DEX + INT. Target numbers range from 4 up. The text labels 7 as a little difficult and 12 as very difficult, to provide some orientation. There are a few other details such as favored weapon, carrying capacity, and so forth, but the rules mentioned above are the foundational components. You can check out the full character sheet as well. Similar to most traditional fantasy games, characters increase in power through gaining levels, and gaining levels requires XP. Concretely, increasing level improves an ability, provides some extra HP or MP, and provides a few other perks depending on which level. 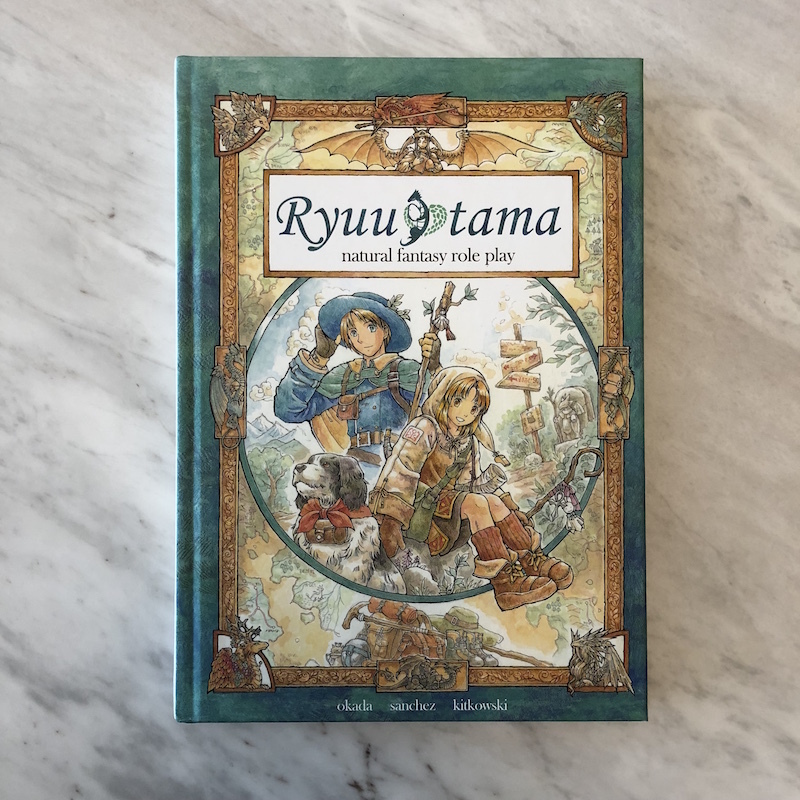 Ryuutama awards an amount of XP each session based on the highest topography target number (more on this in a moment) encountered, the single most powerful monster defeated, and for each benediction (GM-PC power) the referee used. I like this approach overall because it rewards seeking out challenges and requires minimal bookkeeping. It is generally relatively easy to recall the single most powerful monster and there is no need to track the exact number of orcs or whatever. 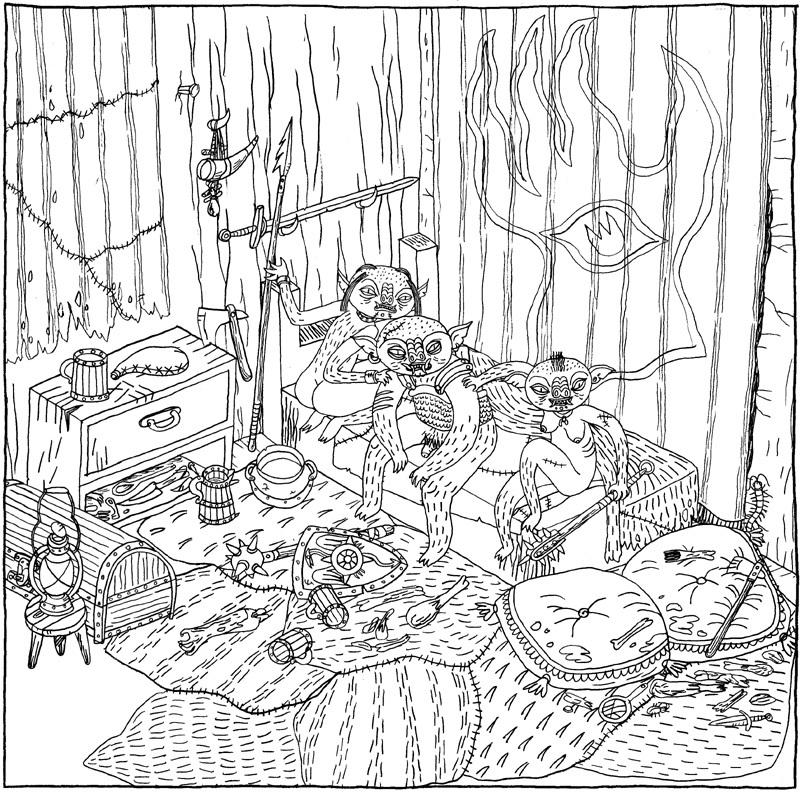 Further, though the marginal benefit may be small, the game will always reward tackling a more powerful monster or more dangerous environment within a given session. The journey procedure is a loop that the party engages to move from one fictional place to another. In sequence: condition checks, travel checks, direction check, and finally camping check. The final three checks all use terrain + weather as the target number. Each traveler makes a separate condition and travel check, but the mapper (one traveler designated by the party beforehand) makes a single direction check for the entire party. A single camping check applies to the entire party as well. The travel check is kind of a big deal, because failing it halves the traveler’s HP (which is about as important in Ryuutama combat as it is in traditional D&D combat, though the halving procedure suggests quite a bit more abstraction in Ryuutama compared to what many players assume about HP in D&D). For each of these journey checks you end up rolling a pair of ability dice (added) versus an objectively determined target number; for example, grasslands = 6, deep forest = 10, strong wind = +1, and hard rain = +3. So, travelers journeying through deep forest in the hard rain will be rolling against a target number of 13. Travelers journey between places and encounter things. What determines the details of towns, what lies between them, and what challenges relevant to the travelers exist? Within the setting rules are guidelines for creating the world at a high level, towns, scenarios, and events. These rules are more elastic than other systems and read more like a set of suggestions than a tight set of procedures, though there are worksheets for each (town, world, scenario, event) with prompts, along with the invitation to maybe work through the process collaboratively with players. For example, the town worksheet has spaces for representative building and specialty goods. Though not explicitly stated procedurally, several aspects of the rules gesture toward the idea of building up the world organically as journeys unfold, while leaving space for some more traditional lonely-fun referee world-building. There is a grid map sheet that players could fill in as travelers journey. The rules suggest an option where all the players design the town for the next session at the end of the current session and place it on the map, indicating what interstitial areas the referee should focus on in preparation. The ryuujin (GM-PC guardian angel) rules also seem important for running a game of Ryuutama in the expected mode, due to how they support the referee intervening in a limited way to shape the story. However, the ryuujin rules are tied less tightly to the core engine, as far as I can tell, apart from the XP reward for using benedictions as noted above, and so I will end here. See this post for a bit more on the ryuujin rules, if you are curious, and also the ryuujin character sheet. This entry was posted in Rules and tagged Ryuutama on April 27, 2018 by Necropraxis. 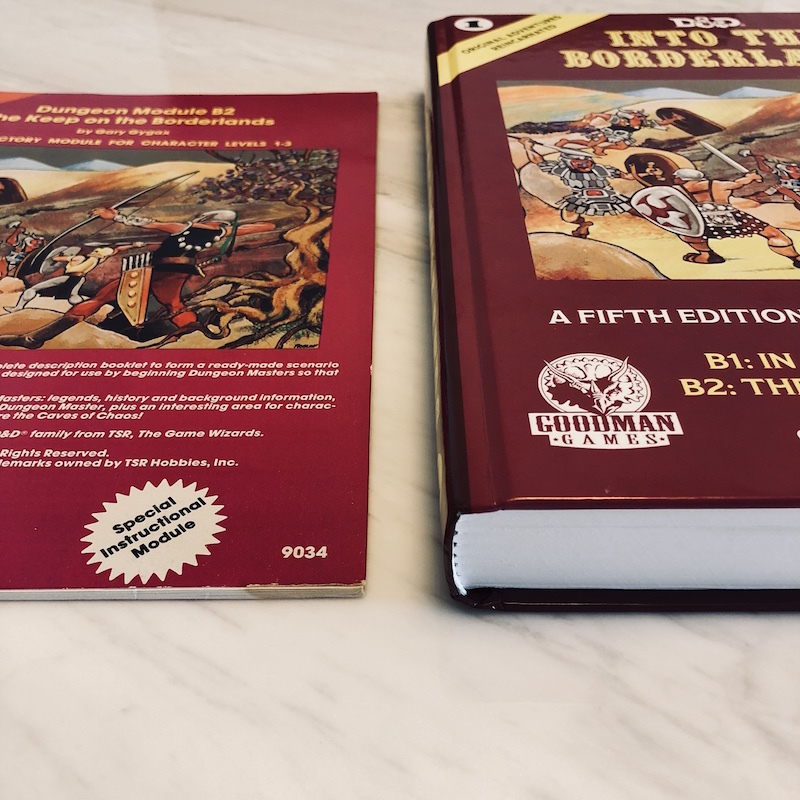 Into the Borderlands is a hardcover compilation of the training modules B1 and B2, both originally published in 1979, along with conversions for fifth edition D&D. 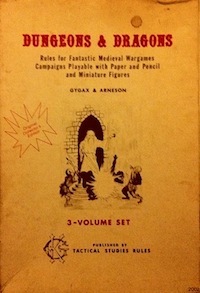 There are several intro essays reminiscing about experiences with these foundational modules, including one by Mike Mearls, currently manager of research and design for D&D. 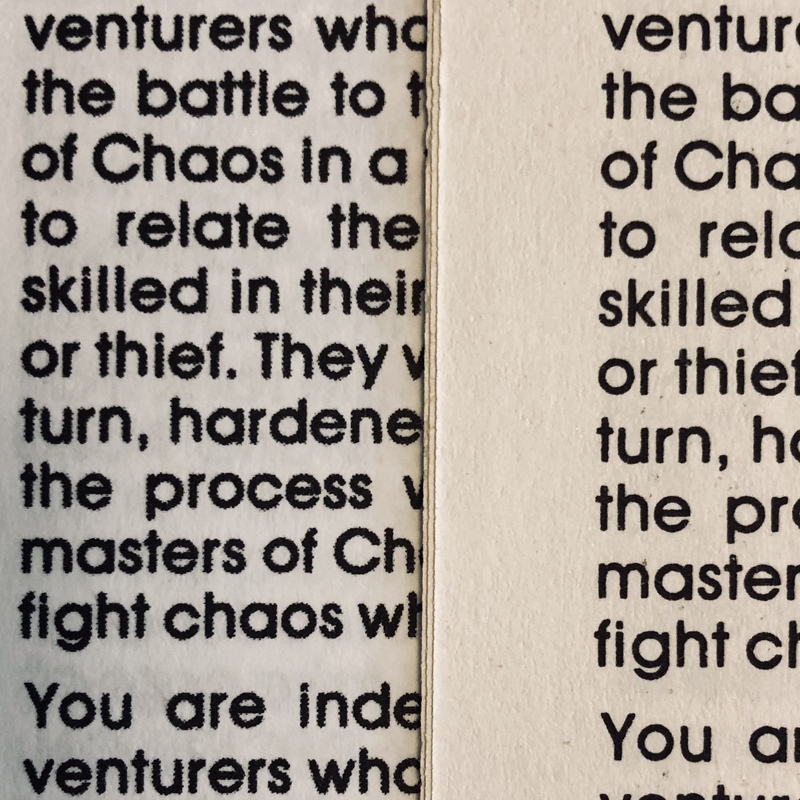 The early modules are scans rather than newly typeset and there are two printings of each original module, showing some minor textual and presentation differences. 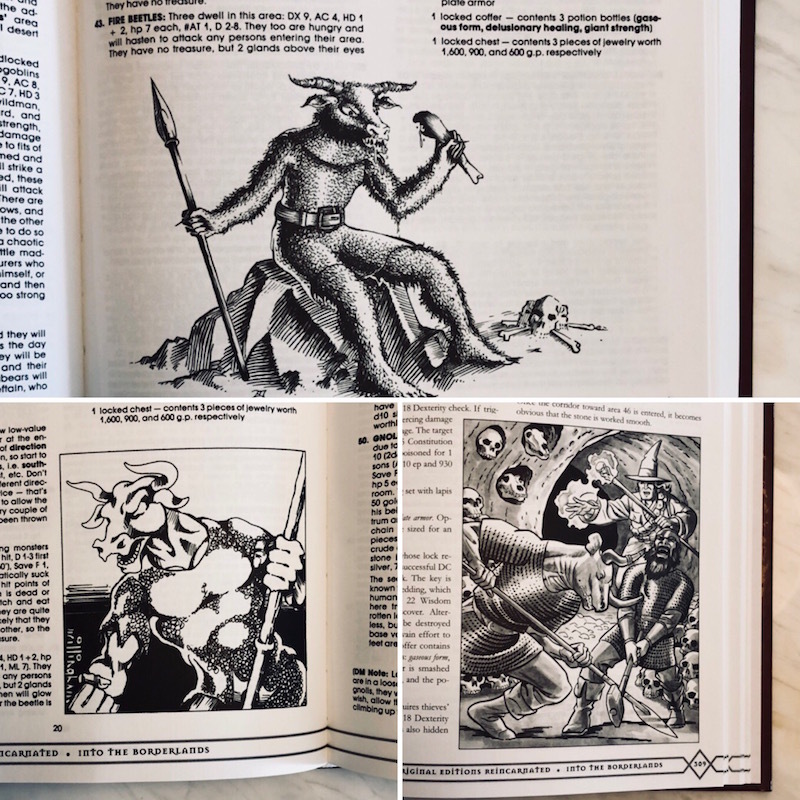 The conversion for fifth edition includes new black and white accompanying art and some expanded encounters. 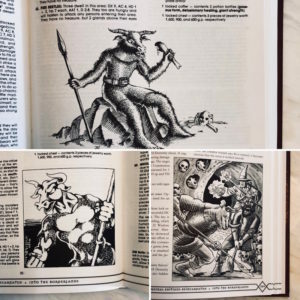 The original modules are classics for a number of reasons that I will avoid discussing much, but if you are curious some good places to start are the reviews over at Dungeon of Signs (B1 and B2). Also, check out this essay related to B2 on how limitation can help foster creativity. Physically, the book has a stitched binding and, though on the large side in terms of width, feels solid and pleasant to hold. Though I can see this being only a collector’s item for many people, it would be usable as an actual game tool also. 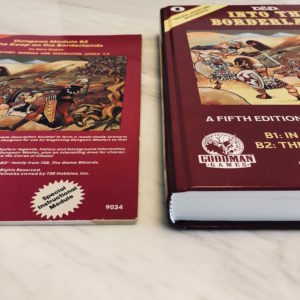 Apart from players only familiar with 5E, most potential customers probably already have copies of B1 and B2, if not physically then in PDF (drivethru links: B1 and B2). Because of this, the value that this product should add, for anyone other than a pure collector, must be over and above the simple information content of the original modules. The high-quality form factor definitely delivers on part of this. Unfortunately, there are some weaknesses too. First, I noticed several typos, even just limited to the first few pages1. Second, the original module scans are a bit grainy compared to my older printing of B2. Third, while it is hard for me to really evaluate how useful the 5E conversion would be to a referee only familiar with that edition, from my vantage it does seem to waste some space. For example, who needs to be told in a stat block that siege weapons are immune to psychic damage? Fourth, this is a matter of taste, but I find the new art to be somewhat uninspired. The book also feels repetitive, given the multiple versions of the same module, and the 5E conversion further recycles a lot of text. This is somewhat baked into the product concept though, so take it more as a comment and less as a criticism. There is so much potential in representing classic modules such as B1 and B2. However, the book for the most part ignores this low-hanging fruit. The three stocked examples of B1 dungeons are a step in the right direction, but there are many other unexplored possibilities. Goodman could have included alternative maps of Quasqueton, such as these beautiful examples from Dyson (one, two). Or, what about some creative play aids, such as maps annotated with content or player handouts? There could be essays about how to creatively flip some conventional assumptions, such as considering the keep as the target of heists. A discussion of adapting modules to local campaign worlds, along with possibly an example reskin, would have felt right at home and maybe even made the book a touchstone for thinking about integrating modules. For an example of creatively using the framework provided by B2, consider this idea about replacing the caves ravine with the Stonehell mega-dungeon ravine. 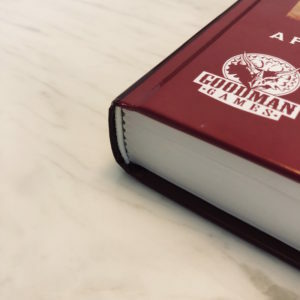 Overall, I am glad the book was made, and am continually impressed by the physical quality of Goodman volumes, but I wish that the compilers took more care with the finishing details for the text. I hope that Goodman continues the Original Adventures Reincarnated series with other classic TSR modules. That said, the product could have been so much more. This entry was posted in Reviews and tagged D&D 5E on April 25, 2018 by Necropraxis. Ryuutama mechanizes a limited degree of referee fudging through a conceit where the referee plays a character called the ryuujin. In translation, this means dragon person, and represents an entity somewhere between minor deity and guardian angel. 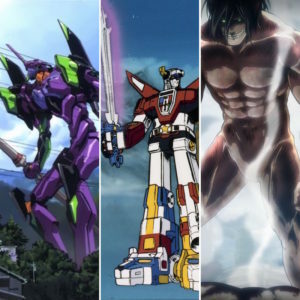 The ryuujin exists within the fictional world, but in practice stays mostly offscreen. It is actually a character though, with a record sheet, life points, powers, level, and so forth, though the applicable rules for a ryuujin are different than those for player characters. In Final Fantasy 4, the character Rydia is a caller, a kind of magician that can summon Eidolons, or Call Beasts, to fight for the party. 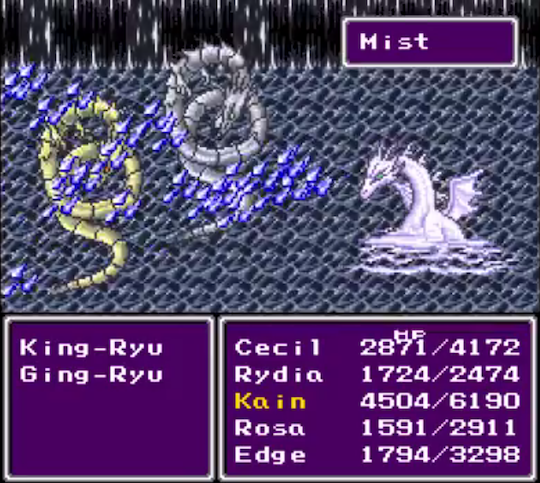 In Final Fantasy 6, espers are powerful magical entities that once defeated can be summoned. Systems exist for summoning in many Final Fantasy games. A similar structure could be used for a powerful supernatural ally such as a bound demon, sandestin, or summoned creature. For players used to a more limited scope of narrative influence and narrower tactical challenge, the ryuujin rules can seem to be something between easy mode and cheating. However, that interpretation may be more driven by tone rather than mechanics. With slightly different flavoring, and possibly exposing more aspects of the ryuujin record sheet to the party as a whole, similar rules could support access to something like summoning an esper. Consider also the possibility for something like a mech or titan form (Attack on Titan, Voltron, etc). Mechanically, Ryuutama gives the ryuujin several capabilities, including benedictions and reveils. Benedictions are powers that a ryuujin can use by spending life points and have effects such as rewinding a small amount of fictional time or declaring a particular check to be a critical success. Some benedictions create obstacles for players, such as increasing monster power or allowing an enemy to run away without needing to satisfy any conditions, presumably in support of guaranteeing certain story elements. 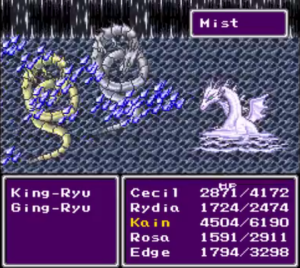 In a reveil, the ryuujin appears in dragon form and saves the players in some specific way, such as manifesting to take the damage intended for a player character. Even when representing something like a summoned ally more under the control of players than is the ryuujin, the entity could maintain a degree of autonomy, also causing complications for players occasionally. Some of the ryuujin rules are attempts to mechanize a limited degree of referee discretion while maintaining some impartiality. Others are explicitly for rescuing and assisting the travelers, essentially decreasing the stakes in pursuit of the intended tone, which is low-arousal, calming, and heartwarming (honobono, in Japanese). However, with a slightly different set of priorities, similar rules could mechanize access to limited supernatural heavy artillery that players could deploy a few times per session. 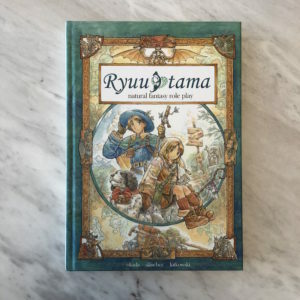 This entry was posted in Rules and tagged Ryuutama on April 20, 2018 by Necropraxis. The DIY D&D scene has many strengths, but there is notably little discussion about playtesting. This is particularly surprising when viewed abstractly, as people pay a great deal of attention to usability concerns such as layout, stat block efficiency, and creating procedures that, in isolation, are easy to use. The one page dungeon contest exemplifies this concern. When I write about playtesting here though, I mean testing the effectiveness of a more extensive product, such as a larger module or ruleset, rather than an isolated mechanic, procedure, or bit of content such as a player character class. 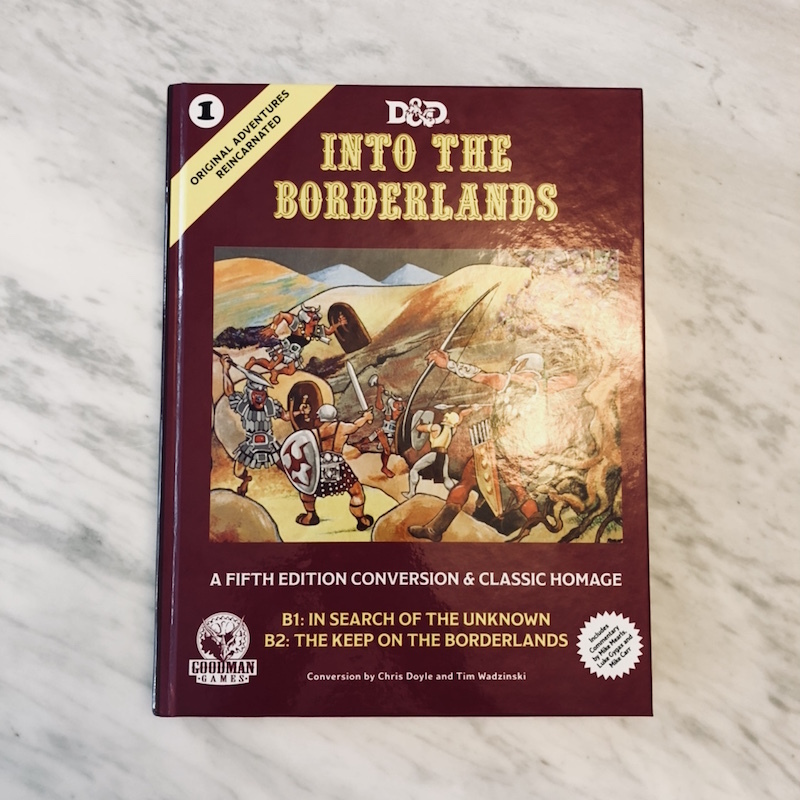 In particular, I am most interested in intermediate level products, such as adventure modules or significant subsystems, rather than rulesets or retro clones, which in the context of the community most players are already relatively familiar with. 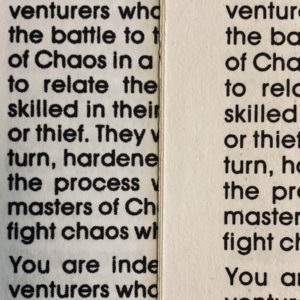 The definition of adventure module should be relatively obvious, but for significant subsystems consider the supporting rules in Veins of the Earth or Cecil H’s Cold Winter. This came home to me again somewhat recently when I decided to run a large module by an experienced traditional D&D adventure writer that had been written within the last few years. The identity of the module is unimportant here; the main point is that it was written with access to recent collective community knowledge. I like the content of the module, which while somewhat vanilla is creative enough to be inspirational for me, and the game itself went well, but throughout I felt like I was fighting the product, often unsure where to find the info that I wanted. This was despite being a reasonably experienced referee and spending a couple hours beforehand skimming the module and making some notes for myself. A while back, I noticed that Vincent Baker’s Seclusium claimed that the product could, with 30 minutes of use, produce a wizard’s tower significant enough to do honor to Vance as inspiration. 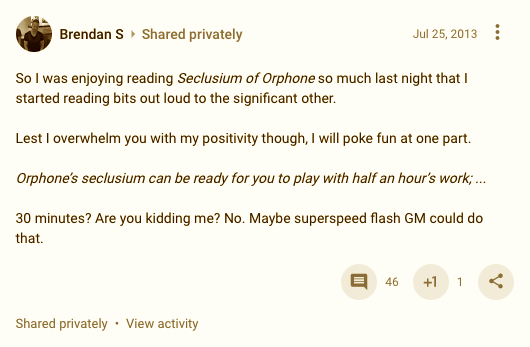 I actually like Seclusium quite a bit as inspiration, and want to avoid making this about criticism of that particular product, but I think that the best products should aspire to that level of usability, assuming a reasonably competent operator. These two experiences together suggest to me a kind of instrumental playtesting that I think may be particularly effective in improving the usability of game products for gaming, which is timed prep starting with minimal specific product knowledge but assuming general familiarity with the base game or style of game. 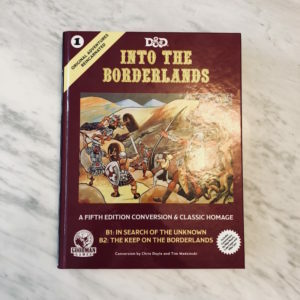 This is in contrast to what seems to me as the ideal of the indie scene, which often focuses on beginners and whether a game can stand alone from roleplaying culture in general, explaining itself to a completely naive reader; hence, the ubiquity of sections on defining a roleplaying game. While that general pedagogical focus has a place, it does not solve a problem that I have, and further I think there is a good case to be made that the larger, more mainstream games introduce the basic idea of imagination-driven fantasy gaming reasonably well and are also more likely to be a new player’s entry point. 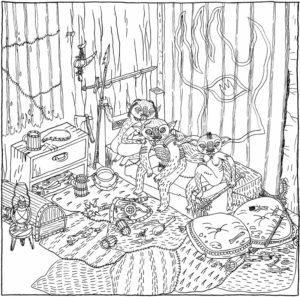 Instead, what is more relevant to me, and I suspect others consuming such intermediate-level content, is whether this particular dungeon (or whatever) will be easy for me use use as a busy person with a pretty good handle on B/X D&D (substitute your favorite flavor). More concretely, I suggest that to playtest a product, find someone willing to run it from a dead start, strictly limiting prep time to one of 30 minutes, 1 hour, or 2 hours. Then, get a list of the questions the playtester had of the product that went unanswered. This kind of info is mostly separate from issues of creativity, inspiration, or aesthetics, which the community is already effective at criticizing and fostering (see 10 foot pole reviews, etc). For easy shorthand, call this the deadlift approach to playtesting: start from the ground, do the thing without the blue sky assumption of perfect conditions, evaluate the outcome, and report back. This entry was posted in Speculations on April 16, 2018 by Necropraxis.